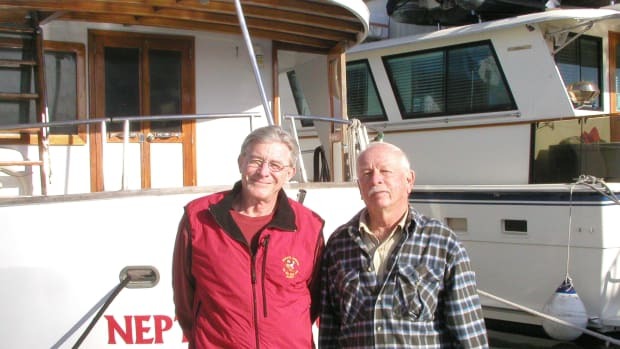 My article on former British Columbia Forest Service vessels ("Sentimental Journey," PMM Oct. &apos;08) was geared more to the history and people involved, but I&apos;m glad that reader Ian Giles asked the question about the boats&apos; engines. 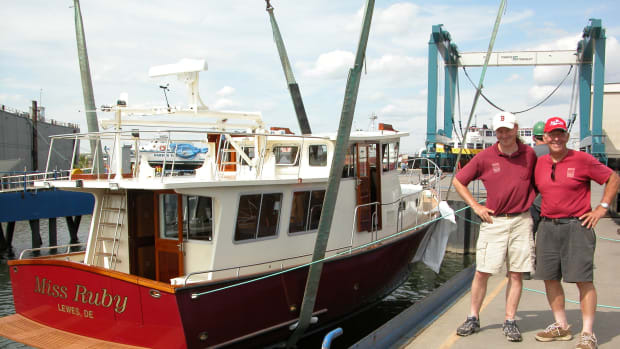 I contacted several ex-Forest Service vessel owners to ask them about their boats&apos; power plants. Below are their responses. The standard engine that the Forest Service used was Detroit GMCs. 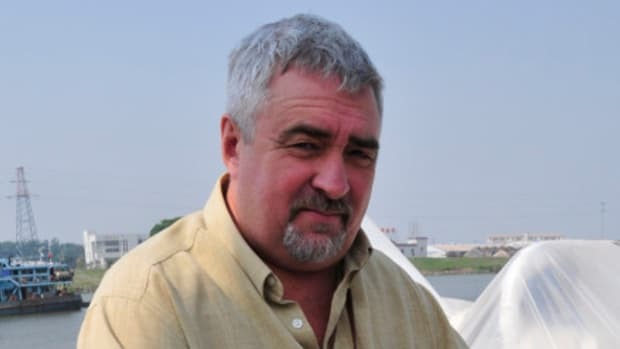 The smaller boats had 3-71 GMCs (Jimmys); the next size boat up had 4-71s. Most of the Ranger boats like Forest Ranger II had 6-71s, and there were a few with 8-71s. When they acquired a vessel for service, they would usually replace the engine with the [Detroit] GMCs. They replaced our original engine on Western Yew with a 6-71 GMC. They almost always put the GMCs in the vessels when the Forest Service built them. There are a few of the older vessels that kept their original engine. The GMC engines were very reliable, and parts were readily available. You will find that a good portion of the working boats-Forest Service, fisheries, Navy, police, and fishboats-have the GMCs. Although they are loud (they are sometimes referred to as "screaming Jimmys"), they are so reliable, people tend to overlook the noise. As long as the fuel is clean and they have lots of air, they work fantastic and for a very long time. Another good thing is they are relatively inexpensive to work on. Our U.S. Navy range boats use them also, anywhere from the 6-71 to 12-71. As many boats as we have had over the years, the [Detroit] GMC is the most reliable, although not always the most economical. The Forest Service bought many of its vessels on the "used" market, and those boats came into the service with a wide variety of engines. The queen of the fleet, Syrene, was built with a pair of six-cylinder Thornycroft engines in 1921. Initially constructed for yacht service in the Mediterranean, she was repowered with a pair of Widdop diesels before her transatlantic delivery to British Columbia in 1933 for service with the Columbia Coast Mission. At some point she was given a pair of Gardners, which I believe she still has. 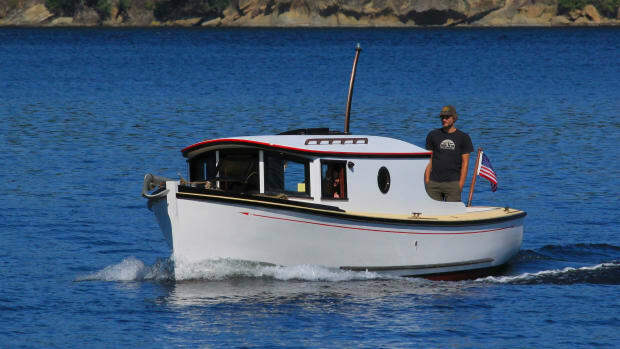 Wells Gray was built in 1927 as the yacht Hermit with a three-cylinder direct-reversing Gardner. The Forest Service repowered her with a 110hp Gray Marine diesel. White Spruce came aboard for only seven years (1955/1962). She had a Hercules Russell 120hp engine. Leola Vivian had been built by Will Vivian after he sold Leola Vivian to the Forest Service (they named her Tamarack). She had a big (8-ton) Vivian engine, together with enough tankage to take her to Australia. She was given a GM Detroit Diesel by the Forest Service, I believe, and renamed Oliver Clark II. Lillian D was built for the Forest Service in 1921 with a Petters semi-diesel. After a hard 17 years on the north coast, she was given an 85hp Atlas Imperial, which had been salvaged from another Forest Service launch, the somewhat infamous PZ Caverhill. She now has a V-71 Detroit Diesel which might have been installed by the Forest Service. As you can see, a trend is developing here. After WWII there were a huge number of new surplus Detroits available for very low prices. They found their way into many Forest Service boats in the postwar years in various sizes: three-, four-, and six-cylinder models (and maybe larger). Some of the early boats built at the Thurston Bay Forest Service repair yard were Douglas Fir (12hp Union engine; 1918), Red Cedar (10hp Union engine; 1918), and Sitka Spruce (10hp Union; 1919). RJ Skinner (named for the provincial timber inspector and first B.C. forest ranger) was built at Vancouver in 1909 and originally "had an engine built by a man named Cowie when he was experimenting with gasoline engines." It was replaced in 1912 with a Union (Buffalo) 35hp engine. Embree, purchased used in 1918, came with a 16 or 20hp Union. She was repowered shortly after purchase with a 24hp Eastern Standard engine. Around the same vintage were Kiora, Aleli, and Alanbee, all with 24hp Unions, and Idonno with a 15hp Corliss. Alpine Fir II was built as the yacht Letitia and was underpowered by a Buda engine. The Forest Service gave her a 6-71 Jimmy, which allowed a respectable cruising speed. My boat was built in 1953 with a GM (Jimmy) 6-71 diesel engine, matched to an Allison 3:1 reduction gear. I had the engine rebuilt in 1998, and it will certainly last for my lifetime. The 3-71, 4-71, 6-71, and 8-71 two-stroke diesel engines were very basic, ruggedly built, reliable, versatile engines, but noisy! They have seen great service in trucks, buses, military landing craft, boats, logging camps, generators, donkey engines, you name it. Cherry II, the second of the assistant Forest Service ranger vessels, was built by the Forest Service at FSMD on the Fraser River and was known as a "blimp." She has a Detroit Diesel 3-71, which was original. I understand that all the series following Cherry had the same engine. The first blimp, which was different in design from all that followed, was Red Cedar II, which allegedly had a two-cylinder Gardner.